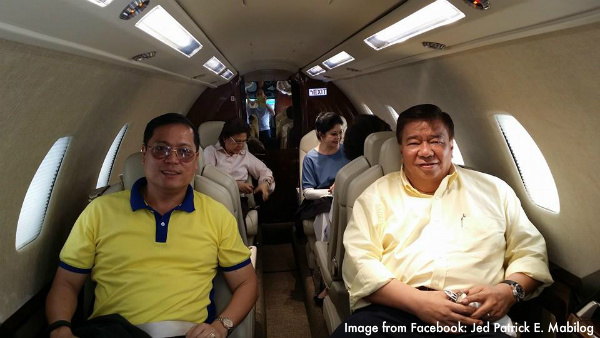 MANILA -- Justice Secretary Vitaliano Aguirre on Wednesday said the affidavit of a drug personality in Iloilo who implicated Senator Franklin Drilon and former Interior and Local Government Secretary Mar Roxas in illegal drug trade in Visayas could serve as a complaint. Aguirre made the comment as Ricky Serenio, a confessed bagman of the Berya drug cartel, submitted before the La Carlota City prosecutor’s office in Negros Occidental last Oct. 18 an affidavit identifying Drilon and Roxas as protectors of drug lord Melvin Odicta Sr.
Odicta Sr., a suspected drug dealer, and his wife were shot dead on August last year at the Caticlan Jetty Port in Aklan. Aguirre clarified that he can no longer order the National Bureau of Investigation (NBI) to conduct further investigation or do a case build-up since President Rodrigo Duterte already gave the Philippine Drug Enforcement Agency (PDEA) sole authority to conduct anti-drug operations.